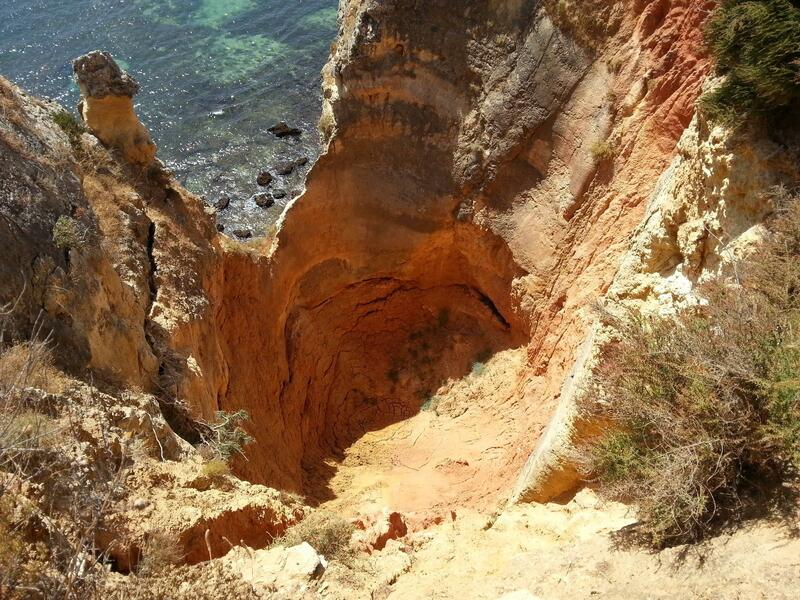 Reddit user RTWin80weeks recently stumbled upon this incredible abyss while hiking near Lagos, Portugal. While he doesn’t recall the exact coordinates, he says it was somewhere along Ponta de Piedade. After browsing through the comments it seems like the hole has recently sunk in, as pictures of the same location from 2013 show where the bottom used to be. If anyone knows more information about this place and where to find it, let us know in the comments below and we’ll update the post!